One of the biggest boosts I have gotten in my Internet marketer career happened when I started attending online Internet marketing conferences. It it something I find myself constantly recommending to other marketers no matter what their experience level is. I thought I would make a post listing some of my favorite online Internet marketing conferences that I try to attend as often as possible. These conferences are all free! These are not sales calls. I always tell people that in these conferences there is no hype, no bs, and nobody will ever try to sell you anything. It’s just a good place to network with other marketers and get the help you need from the people who are actually successful in this business. Participation is totally optional. If you want to ask questions and get involved in the conversation you will definitely get the most out of the experience. However, if you would prefer to hang back and just observe what goes on you are more than welcome to do that too. This was the conference that started it for me. Affiliate Funnel brings to the table a wide variety of great guest speakers every week from around the industry. The discussions are usually followed by an open q&a session where participants are free to ask any questions they have. This is one of the largest weekly conferences I attend with dozens of big name program owners in attendance every week. After the conference is over is not unusual to find owners offering incredible credit deals on their sites. You would be amazed at the kind of deals you can find just from attending this one conference every week. Highly recommended. This was formerly the conference to support TE Toolbox but with the recent forming of TimTech this conference is now covering all of their businesses under one umbrella. This includes TE Toolbox, Sweeva, Adkreator, Click Track Profit, I Love Hits, and StartXchange. The discussions are not limited to just these programs and often cover things like social networking, personal branding, list building, and starting an online business. This is mostly a conference dedicated to members of Tezak Traffic Power traffic exchange. You will find lots of great information here about how to get the most out of using free traffic exchanges to promote your sites. Plenty of prizes are given away to attendees making this a very fun a conference to attend. Another traffic exchange related conference room presented by SWAT Traffic. Here you will find a wider discussions about the traffic exchange industry as a whole and discover lots of new ways to improve your online business. The Get Referrals Fast conferences are a more structured than some of the others listed above. These conferences are serious online training classes covering everything from list building, traffic generation, content creation, and all the nitty gritty details of running a successful online business. This is some of the best online training you will find and the fact that it is given away for free makes this well worth attending every week. This one is probably my favorite. It is much less structured than the other conferences. We often joke that we discuss everything here except business. That’s not really true because TE Live is really more of a daily 1-hour peek into the lives of some of the more successful online business owners. You would be surprised how much you can learn about running an online business just from “hanging out” with the people who are doing it. Highly recommended. You don’t see too many big sites launching on a Saturday but today my good buddies Darren Olander and Jared Silver are opening the doors to their new site… and it’s full of affiliate landmines. Affiliate Landmines are a GOOD thing. It is the concept that your referrals will be fed into a multitude of other programs without ANY extra effort on your part. The best part is.. with Viral Bonuses you get to do it by giving great value away! And giving great stuff away… well it doesn’t get any easier than that. * Top website owners will provide you with valuable free offers such as advertising credits, membership upgrades, or other products. * Viral Bonuses keeps a running rolodex of these programs (10 at one time, swapping one new bonus in each week), where you get to plug in your affiliate IDs so your referrals will join these under you. * You can even claim these bonuses yourself… literally thousands of dollars worth of quality stuff. And it’s all 100% Gratis. Click the banner below to join now! I have just updated the calendar for all new upcoming JV giveaway events that are seeking contributors. David Ogden once again are doing their infamous “Easter Giveaway“. want to see how powerful a JV giveaway event can be. Here is the complete list of upcoming JV giveaway events that are currently seeking contributors for: March 16, 2011. After over a year of waiting I am happy to announce that Viral Mail Profits has finally released their new mailing feature of the site which they are calling the “Direct Feedback Mailer”. 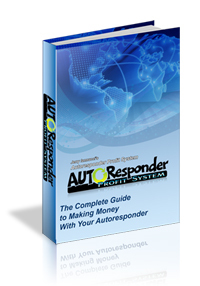 system you will also get a highly responsive mailer to go along with it… and you can get it all for free too! In case you are not already a member of Viral Mail Profits I guess I should explain what the site is all about. 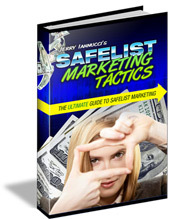 Viral Mail Profits is a must-have tool for anyone who uses safelists and viral list builders. * No more missed mailings because you forgot you could mail. * No more signups missed, because you don’t know which emails convert best. And now with the addition of new mailer Viral Mail Profits just got even better! If you are not already a member of Viral Mail Profits then now would be the time to join. You can sign-up for free by clicking the banner below. It’s a new month and that means it’s time to dig out my tracker stats and see which safelists and viral list builders having been performing the best for me lately. But first… here’s what’s new! Last month Guido Nussbaum threw his hat into the ring with launch of his own viral list builder called Instant List Empire. The site launched around the middle of the month so I don’t have a full month of tracking data to share. But the results I have received so far have been excellent. I’m looking forward to see how it compares with the other VLBs when I run my stats next month. The List Auction added a new security feature to their surfbar that prevents more than one credit link from being clicked at a time. Members are required to view a page for the full 15 seconds before they can move on to the next site. In theory this should increase conversions but activity has been somewhat slow there lately. I’m anxious to see if this new technique catches on. If you remember back in January I switched my tracking service to TE Toolbox and starting tracking squeeze pages that build my list instead of splash pages that promote my membership sites. The results have been great and I am happy to say I have a finally have a full month of stats to share. From advertising my squeeze pages exclusively in safelists and viral list builders I picked up another 241 subscribers last month. Keep in mind that I am promoting an offer specifically targeted to safelist users. I also have upgraded memberships at most of the safelists and viral list builders which often allows me to send more ads more often. So your results with these sites may vary. Congrats to Stefan Berg and The Lead Magnet for reclaiming the top spot once again. Stefan is doing really great stuff with this new VLB. If you’re not a member yet you’re definitely missing out. And check out Global Safelist proving you don’t need to be the new kid on the block to be a highly responsive mailer. I’ve been promoting at Global Safelist for several years now it still continues to produce great results for me. You might notice a new addition to the list. I joined Viral URL several years ago as a free member but never got very much out of it. After constantly hearing about it for so long I decided to try it again with an upgraded “gold” membership. I didn’t get a ton of traffic but the conversion ratio on the traffic I did receive was outstanding! That’s all for this month. Remember, what works best for me might not work as well for you. The only way to know which advertising sites work the best for you is to track your own results. You can get a great free tracker and start tracking your ads today from TE Toolbox.